Oregon Beachcomber Blog - What's washing up? : Spring events are just around the corner! Spring events are just around the corner! Spring is a special time in the Pacific Northwest, when the winter rains let up and we even have a few beautiful windless days before the blustery summer days set in. If you are getting cabin fever, here are a couple of opportunities for you to get out, learn about the ocean, and even volunteer to help make our beaches even better. So, shake off those raindrops and get out there! 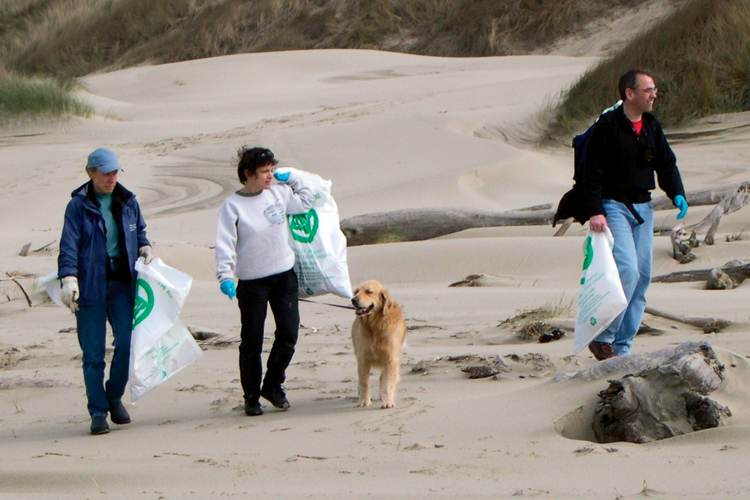 For all of you who want to get out and help make a difference for our beautiful Oregon beaches, SOLVe will be hosting its annual beach cleanup on Saturday, March 22nd along 45 cleanup sites. Volunteering usually only takes an hour or so, and makes a big difference for our beaches, especially after winter storms! This is a great pet- and kid-friendly event. Come down to HMSC and learn about all aspects of our oceans, including biodiversity, oceanographic processes, fish, mammals, and birds. Get a peak of some of the real research being conducted at Hatfield right now! This is a great event for families, and those who want to learn more about some of the great things happening in our community. Sure to be a day full of fun for us beachcombing fanatics, the annual Fossil Fest is going to be taking place all day at HMSC. Join members of the North American Research Group to learn more about fossils that can be found along Oregon's coastlines and other regions. If you have a fossil you would like to learn more about (who doesn't? ), bring it in! Join volunteers along 24 prime whale-watching locations along the entire Oregon coast. Learn more about the migration of the Eastern Gray Whale as these beautiful and unique animals migrate from their winter breeding grounds in Baja to their summer feeding sites in Alaska. Volunteers are on site to lend binoculars, answer questions, and provide interesting facts about gray whale life history.